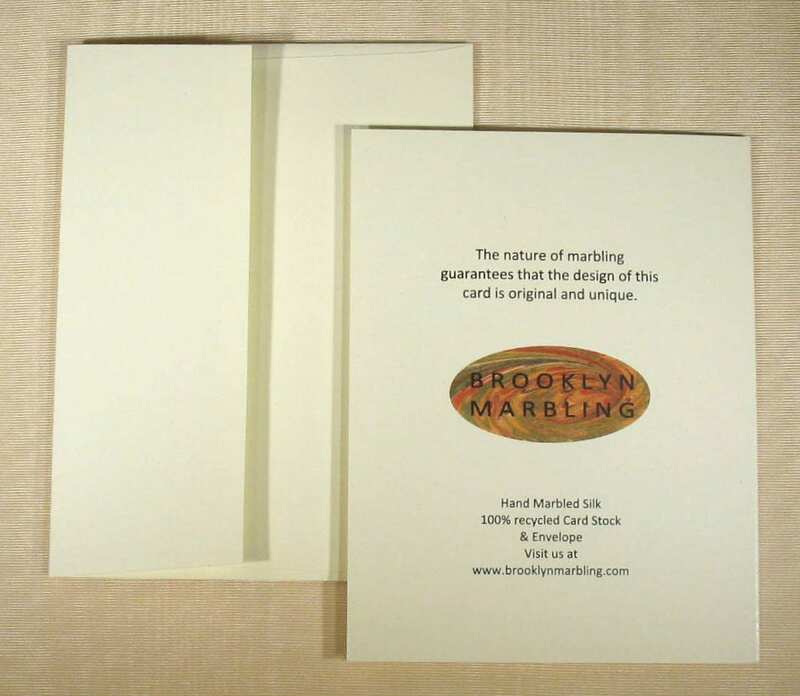 Welcome, and thank you for visiting Brooklyn Marbling to view stationery made from my hand marbled silk. ✹ All my cards are One-of-a-kind. There is only one of each card. ✹ This listing is for the set of three cards shown in the first photo. ✹ Cards measure 4 1/8"x 5 1/4" (10.5 cm x 13 cm) They are blank inside. 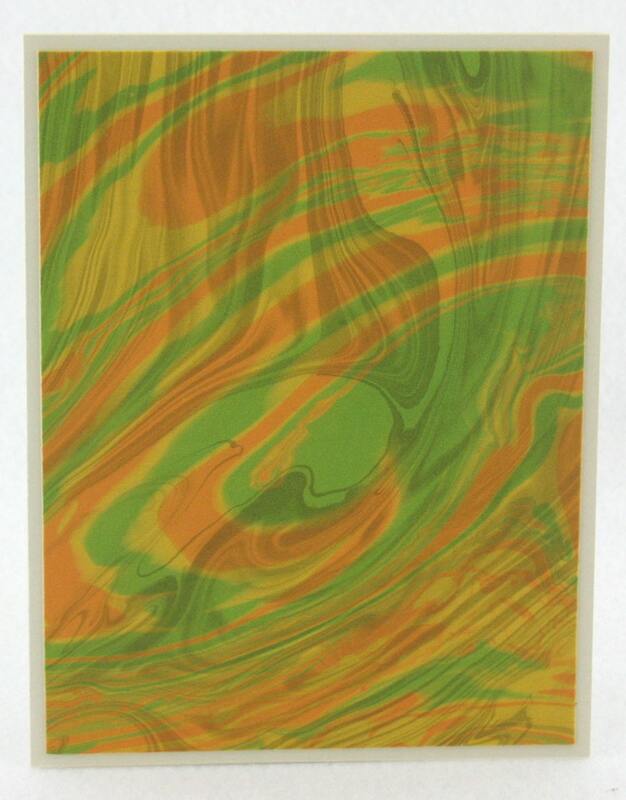 These particular cards are made from a piece of silk that has been marbled with the Sumingashi technique of marbling. Suminagashi is a Japanese style of marbling that uses inks floated on water to create designs that are influenced by the unpredictable nature of the water. I then mount this silk onto card stock, cut the card stock into rectangles, and then mount those pieces onto a card that frames the artwork. 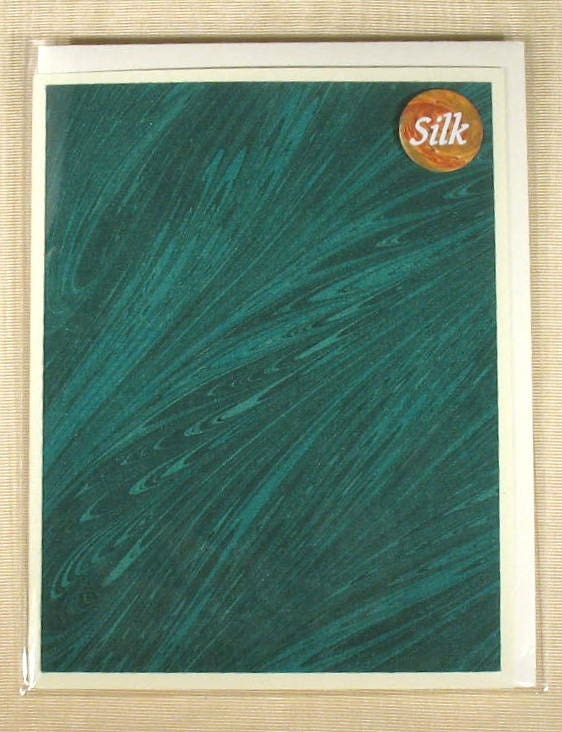 This set of three cards is made from the same piece of marbled silk creating cards that are similar yet distinct. Each card is a piece of art perfect for that special occasion or those special words. They can also become a treasured keepsake for that pressed wedding boutonniere, the label from a memorable bottle of wine, even capturing a baby’s handprint. They are perfect as a wedding invitation as well.